S Originally from Columbus, Ohio, Linda White-Francis is a longtime resident of Holiday, Florida. Linda has been a journalist for nearly 30 years, of which the past 18 years she has penned numerous articles for such collectible publications as DOLL READER, COLLECTORS MART, CONTEMPORARY DOLL COLLECTOR, DOLLS, THE COLLECTOR'S MAGAZINE, DOLL WORLD, BARBIE BAZAAR, DOLL CASTLE NEWS, TOY SHOP, COLLECTIBLE FLEA MARKET FINDS, DOLL CRAFTER, WARMANS TODAYS COLLECTOR, & DOLL CRAFTER. Today she writers primarily for Dolls Magazine, and on occasion Doll Reader, Doll Collector Magazines. 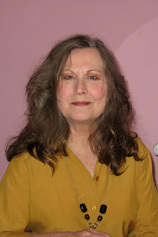 Over the years, Linda has been profiled three times in the Tampa Tribune Newspaper for her extensive doll collection and prolific writing endeavors, which includes her magazine and doll catalog work, and four romantic novelettes that appeared originally in six anthologies published by Midnight Showcase publishers, and now Melange Books. Her most recent book "Romance Away" was released in November 2009. The book is a collection of three of her short stories previously released in the digests below.